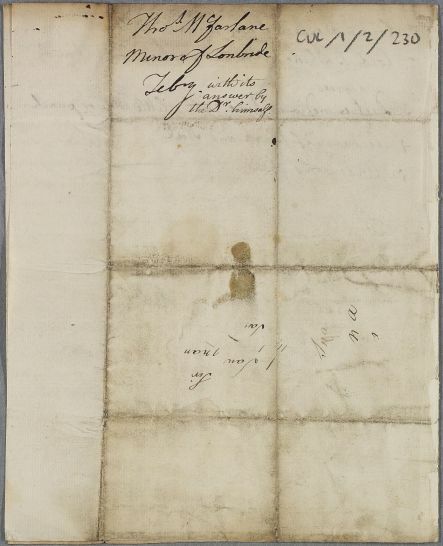 Letter, or rather a case probably sent as an enclosure, entitled 'Information respecting the case of Mr Thomas Macfarlane Min[iste]r of Lonbride', unsigned but writer identified by handwriting as William Gordon. The patient suffered from headaches and lack of sleep for several days, before telling his wife that 'he found his head quite out of order and was about to lose the use of his reason.' Cullen has added his response as a brief numbered list of directions. Date is a loose inference based upon a follow-up letter from Gordon. 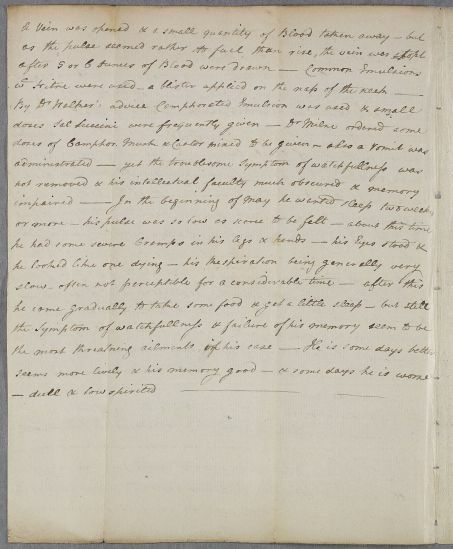 Summary Letter, or rather a case probably sent as an enclosure, entitled 'Information respecting the case of Mr Thomas Macfarlane Min[iste]r of Lonbride', unsigned but writer identified by handwriting as William Gordon. The patient suffered from headaches and lack of sleep for several days, before telling his wife that 'he found his head quite out of order and was about to lose the use of his reason.' 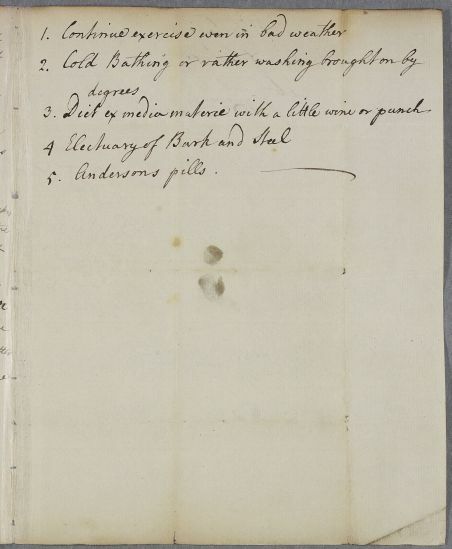 Cullen has added his response as a brief numbered list of directions. 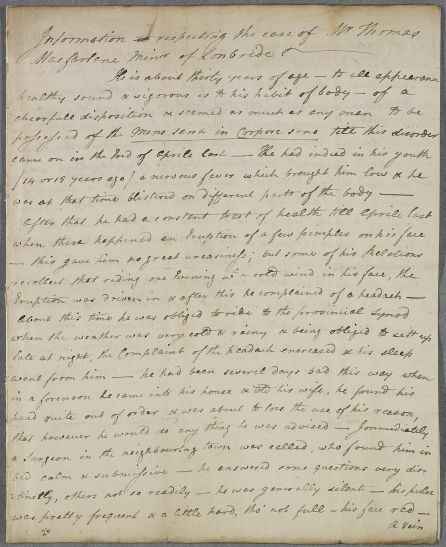 Date is a loose inference based upon a follow-up letter from Gordon. 1: 'A sound mind in a healthy body', a popular aphorism taken from the 10th Satire of the Roman poet Juvenal. 2: Literally 'of the medium materials', by which Cullen means keep to "a moderate" diet.